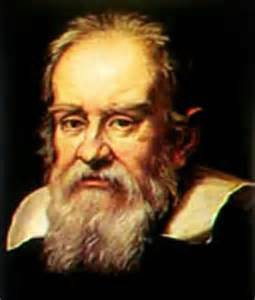 Galileo (1564-1642) - Galileo Galilei is almost as famous for his clash with the Catholic Church as he is for his discoveries and observations of the heavens. While he made several important contributions in the field of astronomy (as well as other sciences), he basically was the man who paid the price for Copernicus' work. It was Copernicus who developed the heliocentric model of the solar system, but waited until the end of his life to publish his work, thereby avoiding any repercussions in his own lifetime. Galileo, who was born about two decades after Copernicus died, defended the work of his predecessor which brought him into conflict with the Church. His father, Vincenzo, never wanted his son to become a scientist, and originally Galileo studied medicine at his father's behest. But his curiosity of the natural world got the best of him, and eventually he convinced his father to fund a scientific education. His troubles with the Church began in 1615 when interest in the Copernican model started gaining popularity. In that year, Cardinal Robert Bellarmine decreed that the theory of heliocentrism could not be supported without evidence. Galileo believed the presence of the ocean's tides provided him with the evidence he needed (he was incorrect though. Interestingly, he rejected Kepler's theory that the tides were caused by the moon, which is correct). The following year, in 1616, he went to Rome to defend his position on heliocentrism. The Roman council wasn't convinced and dismissed it as heresy. Galileo was ordered to disavow his position (which he did...at least publicly), but was allowed to continue teaching it so long as it was presented only as a theory. For the next decade or so, he steered clear of the controversy. In 1623, a new pope came to power, Pope Urban VIII. He was both a friend and supporter of Galileo and had opposed his reprimand in 1616. He allowed Galileo greater license on the issue of heliocentrism, but not free reign. Unfortunately for Galileo, he decided to push the envelope, and published his Dialogue Concerning the Two Chief World Systems in 1632. It not only espoused heliocentrism unconditionally, but Pope Urban VIII interpreted the character who espoused the opposing view, a man by the name of Simplico (meaning 'simpleton') to be a caricature of himself. Predictably, Galileo lost the support of the pope. In 1633, he was recalled to Rome to explain himself. In the end, he was convicted of heresy and sentenced to life imprisonment (but commuted to house arrest for the remainder of his days). Legend has it that upon receiving his sentence, Galileo uttered the phrase, "And yet it moves" signifying his defiance of the verdict. In 1638, while under house arrest, he completed Two New Sciences, which was a summation of his life's work. It is widely regarded as one of his best writings and has received praise from the likes of Einstein. Some of that work includes discovering that objects fall to the earth at a constant rate of acceleration regardless of their mass (his famous "Tower of Pisa" experiment), the designing of an improved refracting telescope, the discovery of Jupiter's four largest moons (known as the Galilean moons in his honor) and the first confirmed observation of sunspots.